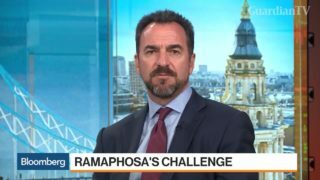 Colin Coleman, head of the South African group at Goldman Sachs, discusses the outlook for South Africa's economy with Bloomberg's Guy Johnson and Vonnie Quinn on "Bloomberg Markets: European Close." 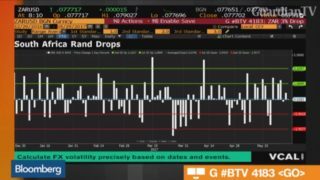 Barclays Head of Asia FX and Rates Strategy Mitul Kotecha weighs in on the South African Rand. 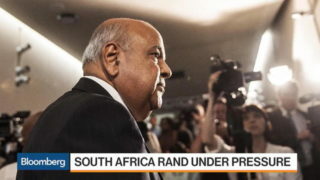 Tensions in the African National Congress over a police investigation of South Africa's finance minister are spilling over into the nation's currency and bonds. 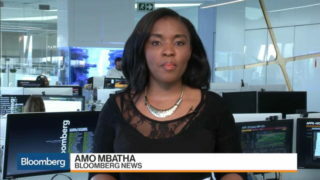 Amo Mbatha updates the latest news about South Africa's finance minister Pravin Gordhan.